Dillon Precision Products .01 Digital Scale. 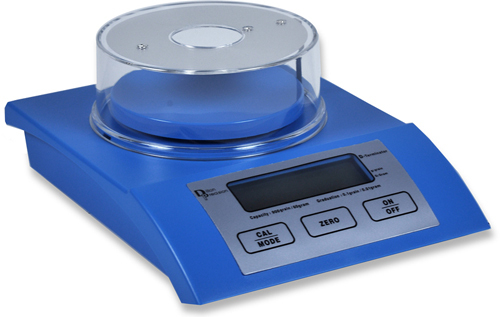 An affordable Dillon Precision Products scale with 0.01 g graduation and a 57 g capacity. It operates on 4 AA batteries or an AC adapter (included). NOTE: adapter is for use with 110v AC; use outside North America may require a converter/adapter for local system. (S100). We use these scales ourselves and find them to be sturdy, reliable, and an excellent value.